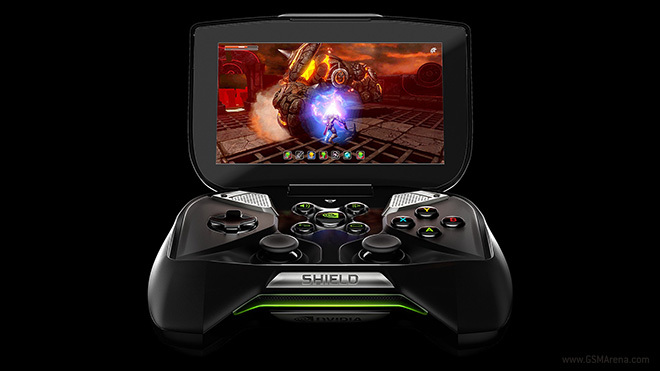 NVIDIA has announced some great new things for existing and future owners of their Android-based handheld gaming console, SHIELD. This includes stuff like remote streaming, Bluetooth keyboard and mouse support, wider PC game support, improved gamepad mapping, Android 4.4.2 KitKat update and a limited time lower price. One of the cool features of the NVIDIA SHIELD was the ability to stream PC games from your desktop PC running select NVIDIA GPU to the console over a local network. With the new remote streaming feature, you will now be able to stream PC games to the SHIELD from anywhere in the world. The feature, arriving in beta, will let you wake up your PC from sleep remotely and also log into it if it’s locked. NVIDIA also added support for Bluetooth keyboard and mouse support, so if you’re out somewhere and want to remotely play your PC games and have access to a TV, Bluetooth keyboard and a mouse, you can connect them all together to the SHIELD and play your game relatively well while still being miles away from your PC. NVIDIA hasn’t had much issue with latency over a local network but it remains to be seen how they handle online streaming of games. NVIDIA is also expanding the support for GPUs that can stream to the SHIELD. Initially, only a select range of desktop GPUs from NVIDIA were supported but now you can also stream from mobile versions of the GTX 800, 700 and select 600 series GPUs. NVIDIA is also expanding support for games that can be stream, which now also includes Titanfall. Coming to the Android side of things, there is now an improved Gamepad Mapper, that does a better job of mapping onscreen controls to the physical buttons. And finally, the SHIELD is getting the Android 4.4.2 KitKat update, that will be available for download on April 2. If you’re thinking of picking one up after reading all that, there is more good news. NVIDIA has dropped the price of the SHIELD to $199 till the end of April, so now it’s a bit of a no-brainer if you were on the fence about it.